I don’t know about you, but things don’t seem well made anymore. They often break right after you get them. I’m not talking about when I accidentally break something I bought–I wouldn’t blame anyone else for that. I’m talking about when things are so cheaply made that they fall apart on you, usually in just enough time that they’re still new, but you can’t easily return them to the store. In the past when this happened, I would get angry, throw the thing out, and either do without it or buy it all over again. But my mom changed my attitude about that. Last year, she bought my son a VTech Go! Go! Smart Wheels Train Station Playset. About two months after he started playing with it, the train broke. It just wouldn’t turn on anymore. What a piece of junk! I thought. A $50 toy that lasts less than three months? 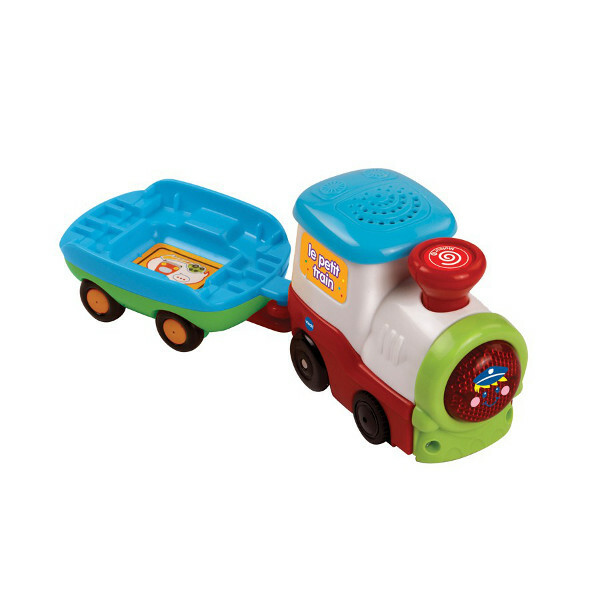 So she wrote VTech an email saying how much my son enjoyed the product, but the train broke. Then she asked them: would they send her a replacement train? And you know what? They did. The train came in the mail, it works fine, and my son loves the toy. So I made New Year’s Resolution (in addition to organizing my house and baking bread): In 2015, every time something breaks because it’s poorly made or has some other malfunction, I’m going to write the company and ask for a replacement. Earlier this month, I had my first chance to make good on my resolution. In November, I went to Michaels and bought a frame for a poster. Last month, my son knocked the poster over. It flopped slowly over in a way that might have cracked the glass of a normal frame, but that’s not what happened. Instead, the glass shattered. It was like Hollywood breakaway glass. It flew all over the bathroom, into the kitty litter, behind the toilet. It was a mess, and worse–it was dangerous. The glass was brittle, thin, and sharp. Thank God my son didn’t get cut. Now, if my son had just cracked the glass, I would have sucked it up as our having damaged the frame. Again, I don’t expect a company to replace something that I broke through carelessness or bad luck. 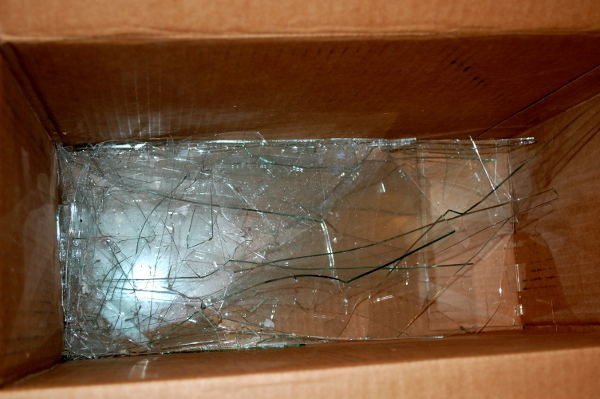 But the glass in this frame was a safety hazard, and I felt the company should know about it. And after all, I’d paid $30 for the frame, and now I had to buy another one. So I wrote Michaels an email explaining the situation, including the CPU from the frame so they knew what product I was talking about, and asked what they could do for me. It took five minutes to write. I have sent the issue to our Buyers, so they are made aware of the issue and can address with the vendor. If you could please provide me with you address, I will see what can be done regarding providing a replacement or credit for the frame. Throughout the year, I’ll share other stories of contacting companies to get replacements when things break before their time. We’ll see what they do.